As the United States was drawn into the Second World War, pressure grew from a number of nations for India’s independence. Prime Minister Churchill, in Britain's name, engaged deliberately in propaganda in the United States to persuade the American public and, through it, President Roosevelt that India should not be granted self-government at that time. 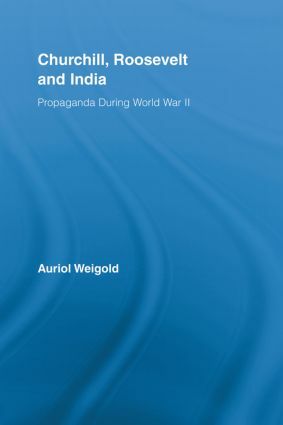 Weigold adroitly unravels the reasons why this propaganda campaign was deemed necessary by Churchill, in the process, revealing the campaign’s outcomes for nationalist Indians. In 1942 Sir Stafford Cripps went to India to offer limited self-government for the duration of the war. However, when negotiations between Churchill and his newly convened India Committee collapsed, the failure of the talks was publicized in the United States as a matter of Indian intransigence and not Britain’s failure to negotiate—a spin of the news that critically affected public opinion. Relying upon extensive archival research, Weigold exposes the gap between Britain’s propaganda account and both the official and unofficial records of the course the negotiations took. Weigold concludes that during the drafting, progress and planned failure of Cripps’ Offer, this episode in the imperial endgame revolved around Churchill and Roosevelt, leaving Indian leaders without influence over their immediate political future.